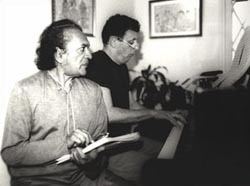 Welcome to the Ravi Shankar Opera Project Website. 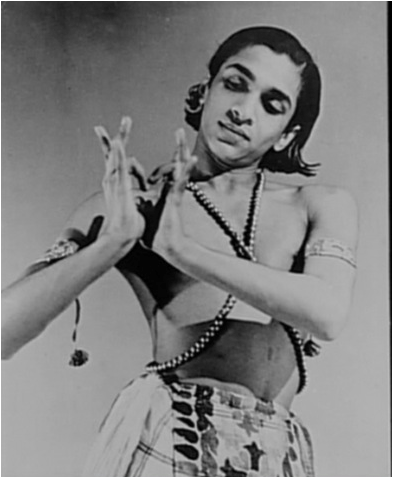 This site will tell the story of the completion of the opera Sukanya, upon which Pandit Ravi Shankar was working at the time of his passing in December 2012. Ravi Shankar envisaged Sukanya as a truly groundbreaking piece of musical theatre which will explore the common ground between the music, dance and theatrical traditions of India and the West. This project has been made possible by Arts Council England, our founding supporters the Bagri Foundation, The Royal Opera House, Covent Garden, Curve Theatre Leicester and Norwich Arts Centre, and we are very grateful for their support. 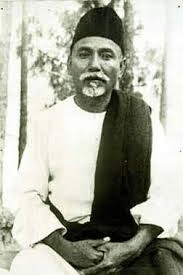 He was steeped in the ancient musical and dramatic traditions of India through his guru Baba Allaudhin Khan – (Figure 2) and he also gained a deep knowledge of the music and drama of the west from a very young age. Film fascinated him, and in addition to counting among his friends many of the greats of western music, he also knew well many of the great film directors of the twentieth century. He said that if he hadn’t been a musician, directing would be his calling. As a young man he experienced the reaction of Westerners to hearing Indian music for the first time: although many found it exciting he realised that it needed to be presented very carefully for the untrained Western ear to realise its depths. He noticed that the Western ear is attuned to harmony, modulation and counterpoint: musical textures which of necessity are almost entirely absent in Indian music in order to maintain the melodic purity of the raga. He realised Western-trained ears needed an awareness of the rhythmic and melodic structures underpinning Indian music in order to begin to appreciate its complexity and subtlety. Thus, Ravi Shankar became the first Indian musician to explain these concepts to his audiences. 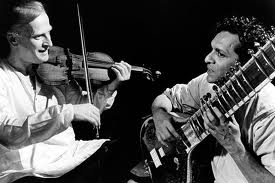 Through Ravi Shankar, Indian music began to have an influence on most genres of Western music: Yehudi Menuhin (Figure 3) the legendary Western violinist became a duo partner and George Harrison (Figure 4) was another Western musician for whom the music of India resonated deeply. 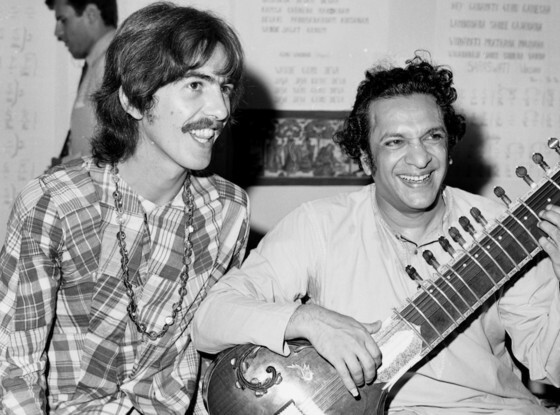 George Harrison became a devoted student and life-long friend, thus the influence of Indian music reached out to a whole generation. 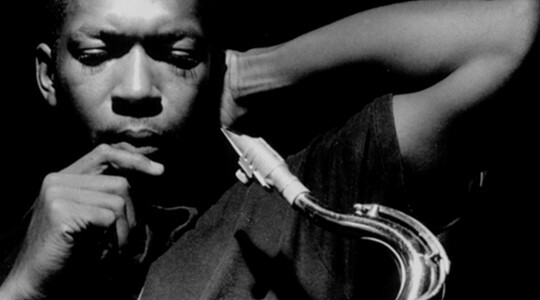 It may be hard to imagine that one person through the force of his talent, energy and musical personality could have almost singlehandedly altered the course of contemporary music in its broadest sense. But that is actually and simply what happened. The system of Indian music known as Raga Sangeet can be traced back nearly two thousand years to its origin in the Vedic hymns of the Hindu temples, the fundamental source of all Indian music. Thus, as in Western music, the roots of Indian classical music are religious. To us, music can be a spiritual discipline on the path to self-realisation, for we follow the traditional teaching that sound is God – Nada Brahma: By this process individual consciousness can be elevated to a realm of awareness where the revelation of the true meaning of the universe – its eternal and unchanging essence – can be joyfully experienced. Our ragas are the vehicles by which this essence can be perceived. 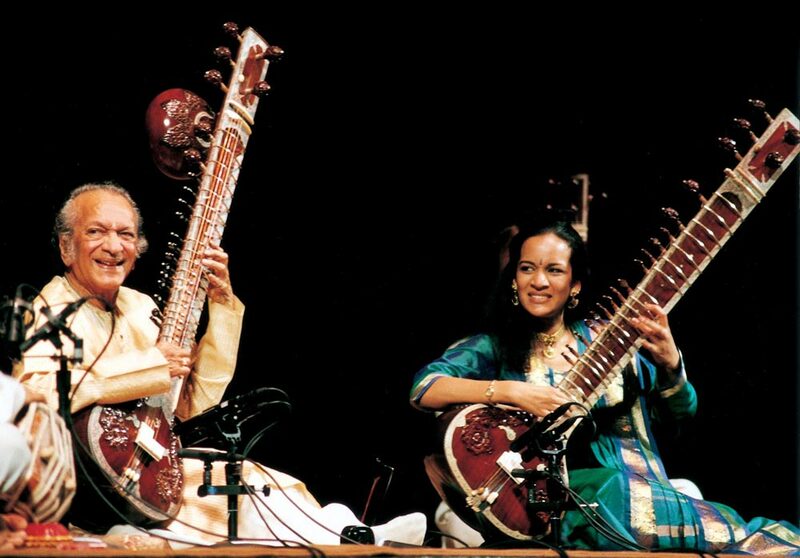 This tradition is continued by Anoushka Shankar (Figure 7). Anoushka, like her father is a musician of huge creativity, carrying on the tradition of relentlessly exploring new musical horizons whilst simultaneously nurturing the ancient tradition of Indian Classical music. It is wonderful to have her input into the completion of the Opera.